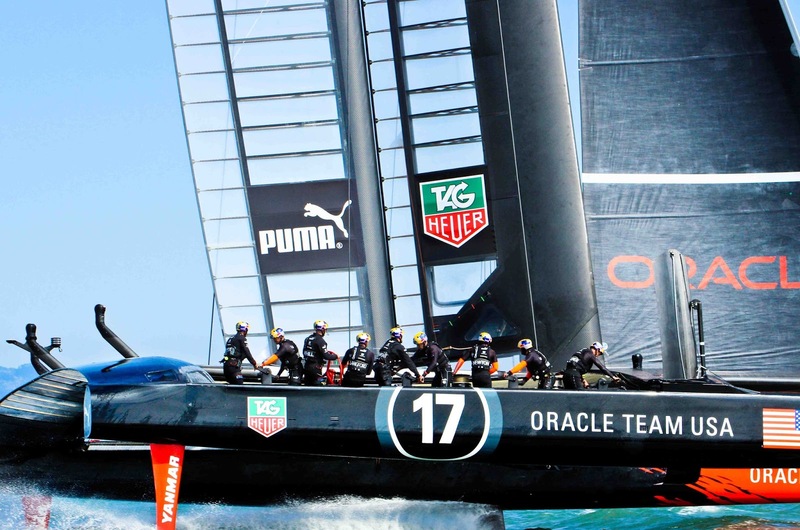 At 23, Wing Trimmer Australia's Kyle Langford, is the youngest member of the ORACLE Team USA crew and played a crucial role in the team winning the 34th America's Cup in San Francisco in September. Here he shares his thoughts. "It was a huge distraction. Dirk de Ridder and I are the two main wing trimmers so the decision it impacted the team greatly. 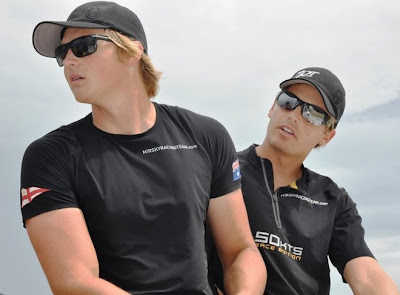 Sam Newton and I were both prepared to step into the role and I only had a couple of days of training on the boat beforehand so I had been preparing before the decision was made and we lost Dirk. "When I was told that I’d be stepping in to trim the wing for the AC34 finals I was pretty excited but it was also pretty nerve-wracking. "I was feeling all OK in the lead up and then when we went out to start the first race and about five minutes before the pre-start it hit me like a ton of bricks and was thought to myself ‘what are you doing here’?" "I didn’t really think about what was going on in that race where the Kiwis were leading and they exceeded the time limit. It wasn’t until I heard it over the radio that the race had been abandoned. It must have been devastating for them to be in that position of being so close to winning and I felt bad for them. But on the other hand it was good for us. I don’t know any of those guys and have never sailed with any of them." "I felt the pressure at the start of the regatta when we were slower and it was a bit terrifying because I just wanted to do a good job. Once we made the changes to the boat I gained more confidence in the boat and in my ability. When we started winning races and got in a better position to win I came into my own and just relaxed and enjoyed it." 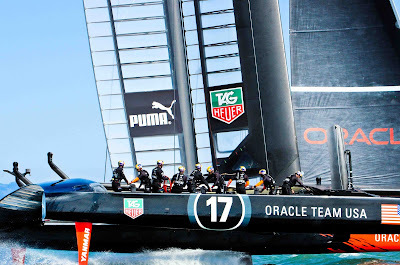 "Ever since I was 15, my goal was to get involved in the America’s Cup and it was not so much about winning it. So I got serious about becoming a professional sailor. I won my first World Championship on a Hobie 16. 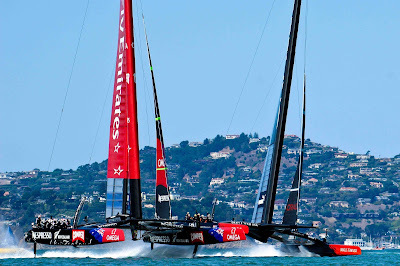 From there I joined the World Match Racing circuit which is a breeding ground for America's Cup sailors. 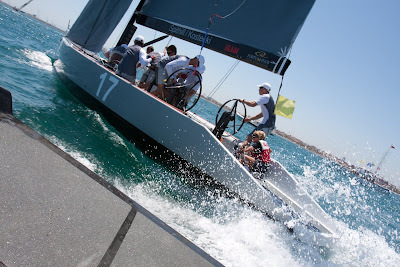 Then I met Jimmy Spithill and he asked me to race in the RC44s with him, John Kostecki and Joe Newton and all those guys. "Once it was decided that the 34th Cup would be on multihulls I got into the Extreme 40s to gain more catamaran experience and from there I joined OTUSA. 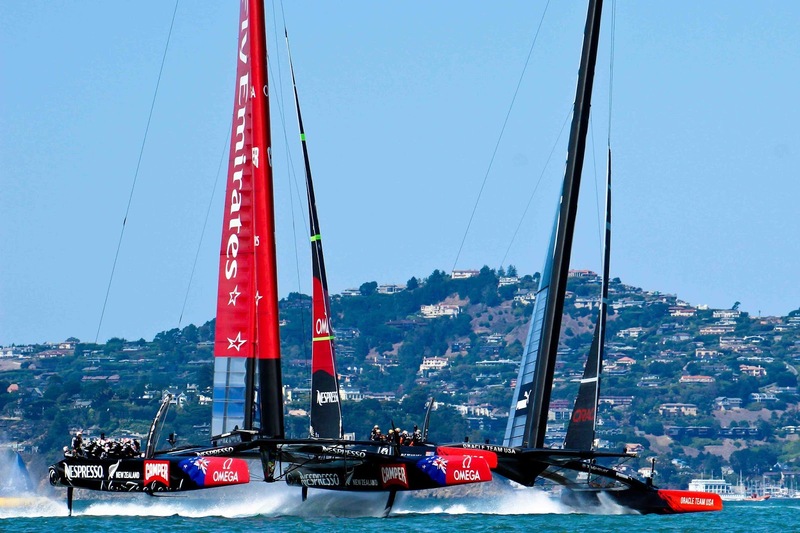 I did the America’s Cup World Series AC45 with Russell Coutts." "When we crossed the finish line it was a sense of relief that went through my mind. The most rewarding thing for me after we won was when the whole team got together with their families, who have made many sacrifices, to celebrated our win." "Being the youngest guy in the team I hung out with the younger guys and we really got into kite surfing in our spare time. San Francisco is such an awesome place for doing outdoor activities and we spent quite a bit of time down at Santa Cruz which is great for kiting."